Esteban Gutiérrez mentioned something about taking a move to get out of the midfield in Formula One, and now we know what that was. 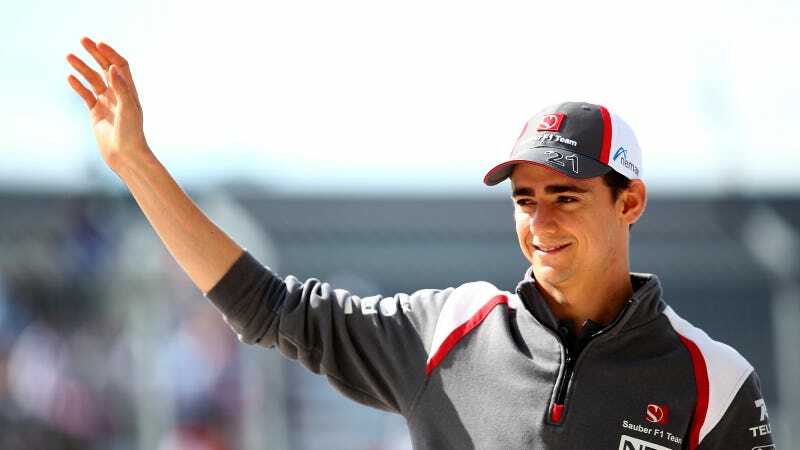 He starts as a test and reserve driver for Scuderia Ferrari in 2015. Let's be honest: even though Sauber gave Gutiérrez race time, this is a clear step up. The backmarker car wasn't a good place to let the inaugural GP3 champion and youngest-ever Formula BMW Europe champion shine. Sauber admitted that financial reasons played a big role in their driver line-up for 2015. That doesn't look all that promising for the smaller team. "We are pleased to be able to offer this opportunity to Esteban who, although young, has plenty of experience relating to the new generation of Formula 1 cars," explained Team Principal Maurizio Arrivabene. "I am sure that, with his experience, he will make an important contribution to the development work of the team in the simulator." Ferrari may be staring down another painful development year with a lot of new staff on board, but their slash-and-burn attitude towards the status quo is promising for 2016. They're an established, well-funded team and should be the perfect place for Gutiérrez to continue developing his career. Ferrari isn't just excited about getting a young talent on board with the team, they're excited about the prospect of winning more Mexican fans as well. With grands prix in both Texas and Mexico next year, there will be plenty of Mexicans in the stands. "Welcoming Esteban also means opening the gates of Ferrari to a driver from Mexico, a country where the Scuderia still has a lot of fans, just as was the case fifty years ago in the days of the Rodriguez brothers," explained Arrivabene. Okay, Ferrari has a lot of fans everywhere, but it's good to know they've already got somewhat of a history with their Mexican fanbase. Welcome to the big leagues, Esteban.